I was emailed this recipe and thought I’d pass it along to you. It uses Tofu Shirataki noodles, which are made with tofu, and are gluten free. I haven’t made this dish yet, but the ingredients look good, and should pair nicely with a BC Pinot Gris or New Zealand Sauvignon Blanc. I’ve listed a few after the recipe. Enjoy. Prepare Tofu Shirataki according to package instructions. Cut into manageable size. 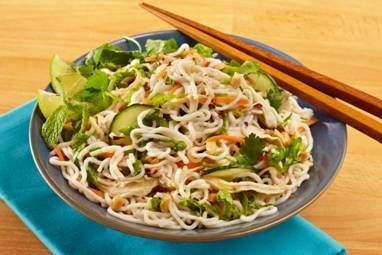 Add noodles, carrot, cucumber, chicken, lettuce and scallions in a large bowl and mix well. Top with peanuts, mint, cilantro and chili flakes (if using). Combine all ingredients in small ramekin and stir. You can find a some of these wines at Everything Wine. 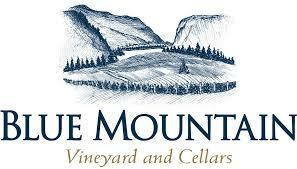 The BC wines are available online from the wineries. 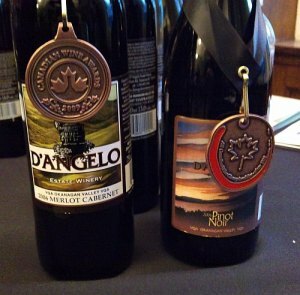 WineAlign’s 2013 World Wine Awards of Canada is a brand new competition yet the judging team are seasoned top wine writers and sommeliers who spent five days blind tasting 1,000 wines! New Zealand was there to participate, and have some winning wines to share with you. Yes Sauvignon Blanc is in the list, but there are other varietal wines for you to consider, such as Pinot Grigio. This tasting coincides with the release of their first two 2012 vintage wines which will be sporting brand new packaging! 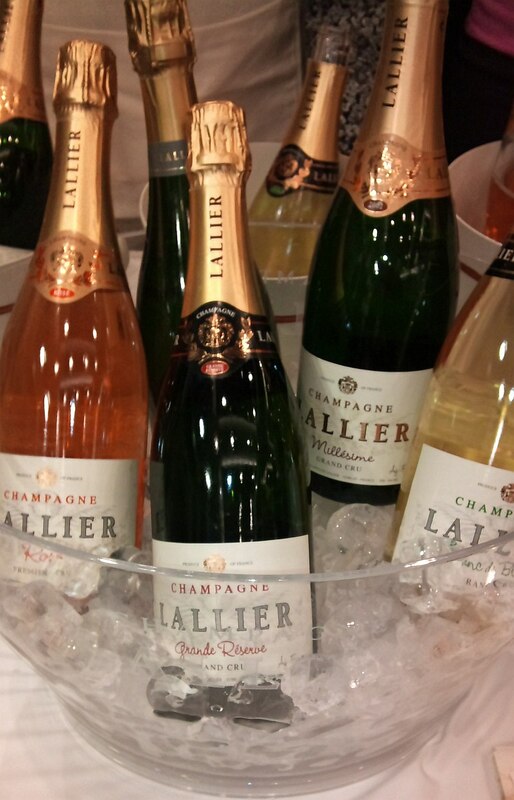 Try a range of wines from their iconic flagship sparkling, the Gold Label Brut, the new 2012 Pinot Blanc and 2012 Sauvignon Blanc and finishing up with the delicious 2011 Pinot Noir. You’ll taste the same great quality that they have become know for with a brand new look! All wines beautifully paired with canapes thoughtfully prepared by Sous Chef Christopher Tse! W. 33rd Avenue at Cambie St.
For more information or to purchase tickets, please feel free to contact us! I’m a bit tardy with this blog article about the latest Import Vintners and Spirits Association (IVSA) trade tasting, with many other work and non-work events happening at this time. Going back to my notes, I found a few good new wines to the BC marketplace. One thing I noticed was there was more Torrontes and Trebbiano at this trade tasting than at other tastings. This could be in part due to the time of year with the white wines being released. With that, let’s get into my latest wine picks. 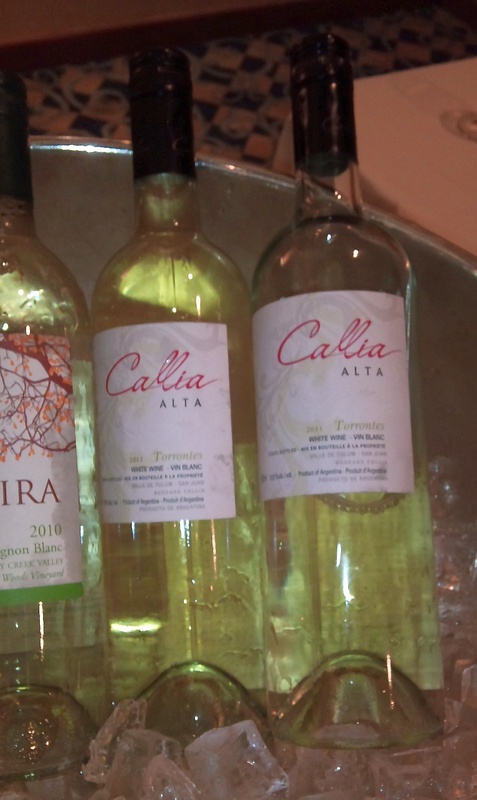 Callia Alta Torrontes 2011, Argentina (spec $13.95). Medium lemony green in colour. Very fruity, tropical fruit and flowers on the nose. Medium body with tropical fruit, citrus and oranges in particular flavours. Nice acidity and some spiciness. Dry with medium plus length. This is more complex than most Torrontes. Zenato Lugara DOC San Benedetto Trebbiano, Italy. Pale lemon in the glass. Nice nose with citrus, apples and a hint of oranges. Light body with citrus and slight sweet spice / nutmeg flavour. Dry. Very nice. Thelema Mountain Vineyards Sauvignon Blanc 2010, South Africa. Thelema is a quality producer from South Africa. This wine had a wow nose. Lots of gooseberries. High acidity with green bean, gooseberry and grapefruit peel flavours. Some spiciness on the mid-palate. Short length (wish it was a bit longer). Vouvrey Grandes Caves Saint Roch – Demi Sec 2010, France. This was my overall favourite wine of the tasting. It is a Chenin Blanc from the Loire Valley. Delicate light crab apple and citrus aromas. Medium minus body mouthfeel yet acts like it is a bigger wine. Apples and citrus flavours. Quite round with a good acidic backbone. Kumeu River Estate Chardonnay 2007, New Zealand. Medium lemon colour. Citrus and tropical fruit on the nose with a touch of oak. Medium minus body, mineral, citrus, and apple flavours. Dry with medium acidity. Medium length with a waxy finish. An interesting wine. Kiwi Walk Sauvignon Blanc 2011, New Zealand. Pale lemony green in the glass. Lots of herbal and cut green grass on the nose. High acidity on the palate with lots of gooseberry flavour and some jalapeno pepper flavour mid palate. Domaine des Baumard Clos du Papillon 2008, France. Another Chenin Blanc from the Loire. Deeper golden colour. Nutty, peachy nose. Medium body, round with medium acidity. Peach pit, citrus and some spice on the palate. Very interesting. Cameron Hughes Lot 300 Cabernet Sauvignon 2009, Napa Valley. Medium translucent ruby colour. Nice ripe berry nose. Elegant and not overpowering. Lighter body with cassis and dark fruit flavours. High acidity, low tannins and long length. A quality wine. Gorcleyant Malbec 2010, France. Medium ruby colour. Nice bright red fruit nose. Lighter bodied, soft tannins and juicy red fruit flavour. A hint of vanilla and spice too. Masi Modello Rosso 2010, Italy. Light ruby colour. Nice nose with closes and red fruits. Light body, dry, with soft tannins. Red fruit, oak and cloves on the palate. Good price $12.99. Niepoort LBV 2005, Portugal. This is a Late Bottled Vintage port. This one is medium ruby in colour. Light aromas of cherries and apples. Light body, medium sweetness, but quite spicy on the palate. Flavours of plums, dark cherries and some vanilla. Zinck Cremant Brut D’Alsace, France. Light straw colour with small light bubbles. Nice aromas of red delicious apples and some lees. Light body, high acidity, with more red delicious apples on the palate. Dry. Tasty. Just in case you have not heard about it, each year the Arts Club Theatre Company has a wine fair fundraiser, featuring the wines of California. Here is the press release about this year’s event. The events start of April 17. I’ve been to this event in the past years and it is always fantastic. You will get to try a great number of very high quality California wines in one location, both red and white. Of course you will be tasting California Cabernets, but don’t forget Zinfandel or Syrah in reds, or Sauvignon Blanc or Viognier for white wines. Some of the wines are also organic and/or biodynamic. Get your tickets soon before they sell out. Here is there press release. 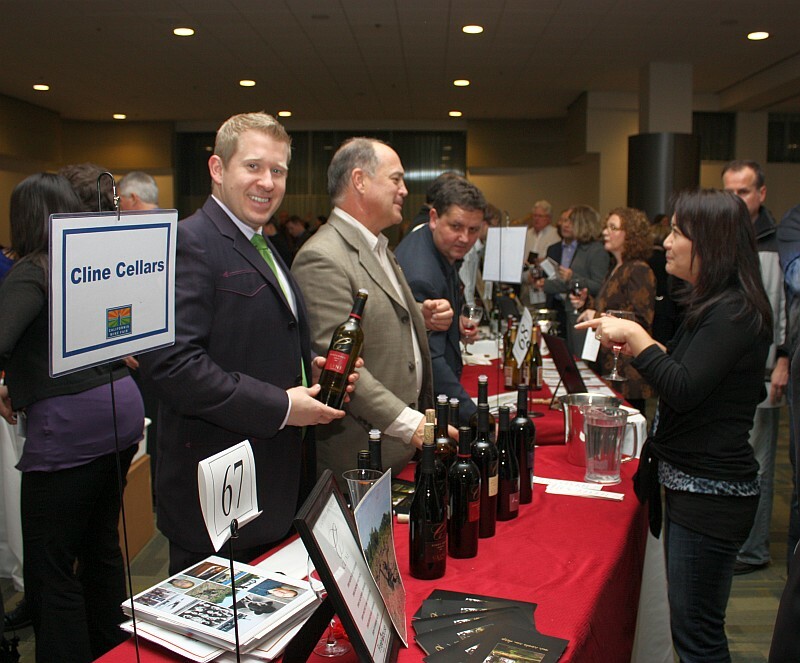 Vancouver, B.C.—The Arts Club Theatre Company’s 2012 California Wine Fair fundraiser returns to Vancouver in April to present its signature ballroom tasting evening with two exclusive dinners showcasing the distinct and varied vintages produced by the Golden State. The largest tasting tour of Californian wine in Canada, the 32nd annual California Wine Fair Ballroom Tasting will be held on Wednesday, April 18, at 7 PM, at the Vancouver Trade and Convention Centre East (999 Canada Place). The region is recognized globally for its superior quality and varietal diversity, and the tasting provides a survey of 120 top producers, from family-run boutique brands to large-scale benchmark wineries. The evening gives 700 wine enthusiasts the opportunity to talk one-on-one with passionate and knowledgeable vintners, and the chance to discover interesting new varietals, blends, and labels in a lively atmosphere. A silent auction will run throughout the evening featuring luxury hotel stays and gift certificates to top entertainment attractions, fine restaurants, and spas. Tickets are $75, or $65 per person for groups of six or more. Two intimate dinners will complement the ballroom tasting. The California Dreaming Dinner is hosted at the award-winning West Restaurant (2881 Granville Street) on Tuesday, April 17, at 6 PM, with a tasting of outstanding brands provided by Vintage Corks, including Blackbird Vineyards, Dry Creek Vineyards, Duckhorn Vineyards, Dutcher Crossing Winery, Heitz Cellars, and Silver Oak Cellars. Renowned Executive Chef Quang Dang is creating an innovative five-course contemporary menu, and in-house sommelier Owen Knowlton brings his expertise on food and wine to the affair. The dinner is $195 per ticket. This event is already SOLD OUT. On Monday, April 30, at 6 PM, the full evening is dedicated to presenting premium wines from the Francis Ford Coppola Winery in Sonoma, featuring highlights from the Rosso & Bianco, Diamond Collection, Director’s Cut, and Sofia labels. The Food, Wine, Adventure Dinner is held at Q4 Ristorante (2611 West 4th Avenue), hosted by Lise Asimont, the Director of Grower Relations at the Francis Ford Coppola with an Italian four-course menu in honour of the famous filmmaker’s heritage. The winery was recognized with the coveted USA Producer of the Year Award in 2011 at the International Wine and Spirit Competition. The dinner is $185 per ticket. For tickets and information, call our box office at 604.687.1644 or visit artsclub.com. The Arts Club Theatre Company, now in its 48th season, is the largest not-for-profit organization of its kind in Western Canada. It offers professional theatre at three venues—the Stanley Industrial Alliance Stage, Granville Island Stage, and Revue Stage—as well as on tour throughout the province. Today, Thursday, is the first day of the Vancouver Playhouse International Wine Festival, International Festival Tasting room. I decided to spend most of my time tasting Chilean wines as Chile is the theme country, so there will be many wines brought in specially for this event. 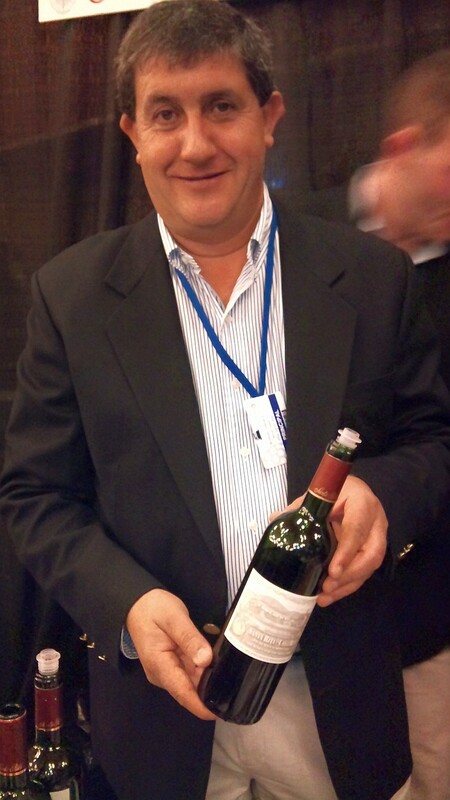 Besides tasting I also had a chance to chat with some of the winery principals like Andrés Ilabaca from Vina Santa Rita. Detailed tasting notes will follow, but check out these if you have a chance. My next post I will give you some quick picks for wines for the rest of the world. Enjoy! Its Official – The Vancouver Playhouse Wine Festival is On! Harry Hertscheg speaks to Media. This afternoon was the official kick off of the Vancouver Playhouse International Wine Festival. 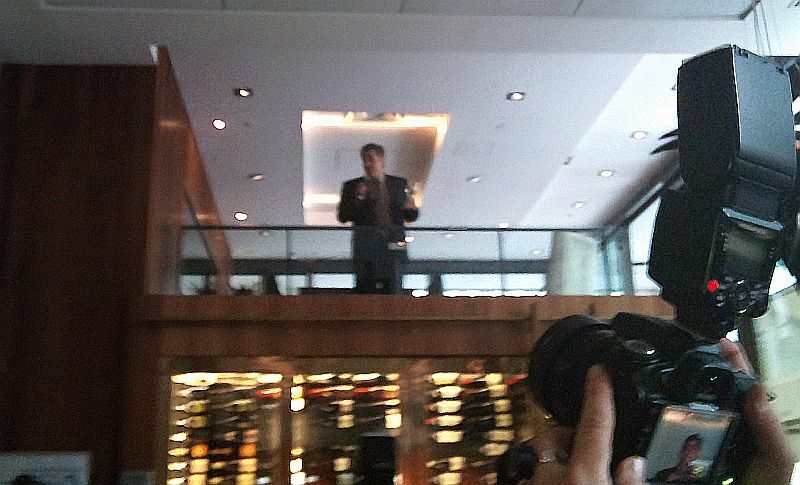 Our emcee was Mr. Harry Hertscheg, the Playhouse Wine Fest’s manager. He very eloquently introduced we in the media to this year’s event, with Chile as the host country, and Cabernet as our global grape focus. At JOEY‘s downtown, we nibbled on a variety of latin-inspired appetizers and sipped a variety of wines from around the world, that will be poured during the Wine Festival. Two of the wines were from Chile; a Leyda Valley Sauvignon Blanc, and an Errazuriz Carmenere (That’s Chile’s signature red grape by the way!). I really liked the Sauvignon Blanc. Leyda Valley is a very cool climate region south of the Casablanca Valley and close to the Chilean coastline. 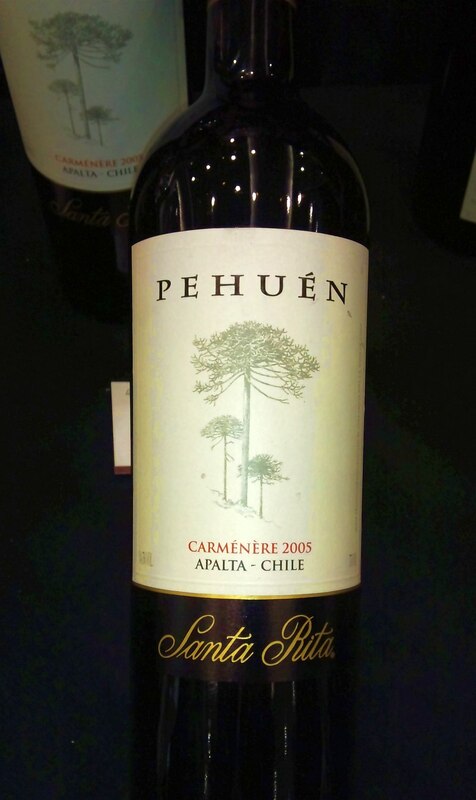 The Errazuriz Carmenere also is also a nice example of the wine produced by the Carmenere grape. Soft in the mouth, fruity with capsicum on the nose. So from now till Sunday there are dinners, seminars, and of course the big International Festival Tasting room. There are still some tickets available to various events. Here is the link to tickets for you. Where can you find me during the wine festival? Keep checking into my blog as I will be posting as I attend these events, and sending tweets from my twitter account @mywinepal. 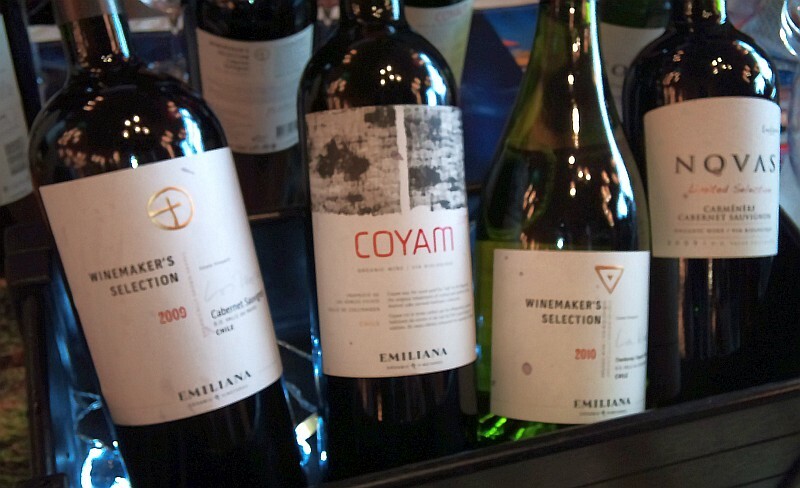 Interested in Going to Chile to try Wine? I have arranged a 10 day wine and food tour of Chile and Argentina. The tour will start May 23 and finish on June 1, 2012. Starting in Santiago we will visit several wineries around Santiago and further south in the premium Colchagua Valley, then cross the Andes and visit several wineries in Mendoza, Argentina, and end up in Buenos Aries, experiencing the city, taking in a tango show, and more. Here are the details of the wine tour for you. I am keeping this tour small so that we all get personal attention from the restaurants and wineries we will visit. Register soon before all the seats have been reserved. A Tailgate Party, Grilled Pork, & Wine for the Canucks Game! What is a tailgate party? 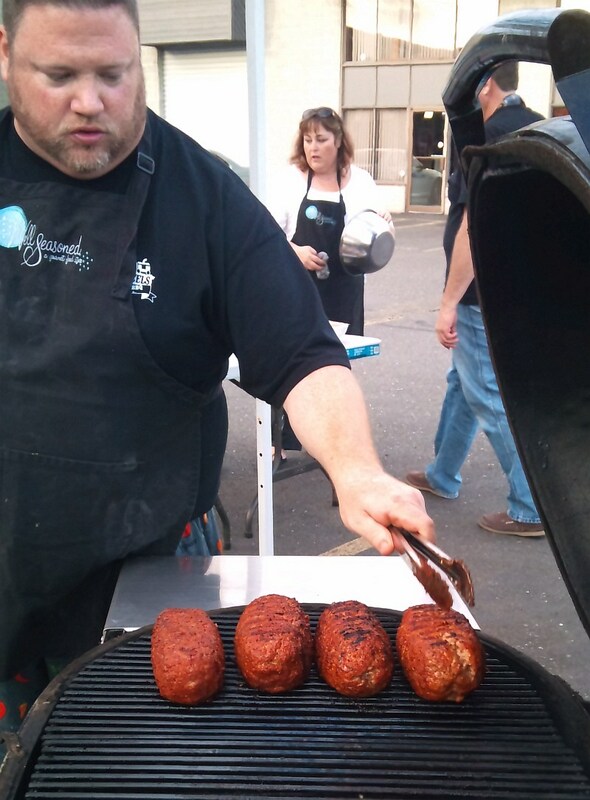 Andy’s creative culinary skills brought tailgate cuisine to a higher level. What did Andy teach us to BBQ? A nice way to start off any party is with some assorted nuts. The smoked nuts in this case were almonds and pecans covered with a honey/apple/soy sauce and sprinkled with a BBQ rub of your choice. Cooking this in the BBQ adds a nice smoky flavour to the nuts and the mix of sweet and a bit of spice enhances the nuttiness. I’d suggest a fino sherry or maybe a sparkling wine, such as a Spanish Cava. 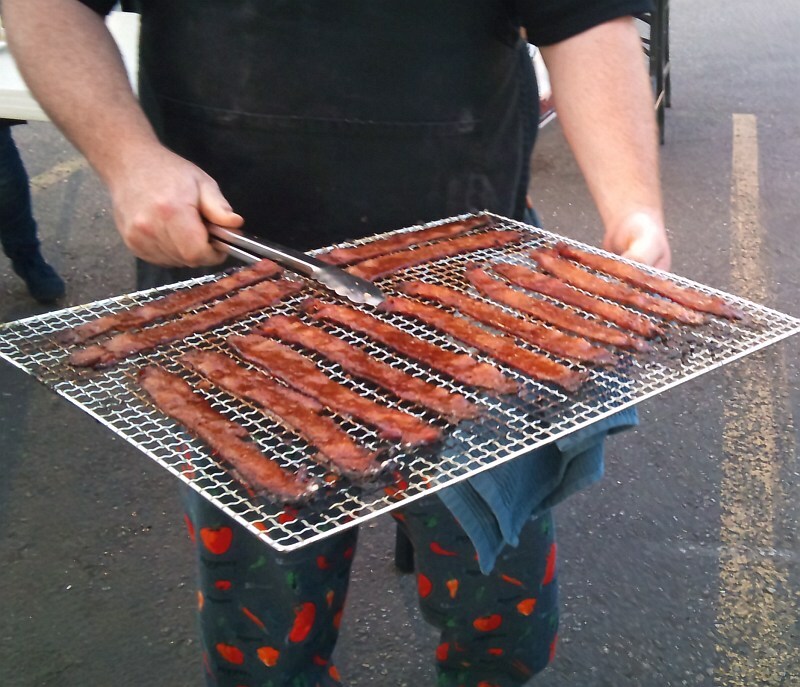 Pig Candy is bacon that is coated in a mixture of brown sugar and cayenne/chipotle powder, then slowly cooked on the grill so that the sugar caramelizes, making a very addictive treat. Again sweetness with a hit of spice mixed with the smokiness of the bacon, plus the crunchiness from being on the grill. There are a few ways to pair wine with this. The first is to go with a Sauvignon Blanc which has high acidity, to cut through the fattiness of the pork. Another pairing could be to embrace the smokiness and pick a Fume Blanc (that is an oak barrel aged Sauvignon Blanc). If you prefer red wine, maybe a chilled Gamay or a Pinot Noir would be nice. Both have higher acidity and lower tannins, which should complement the sugar and fattiness of the pig candy. Smoked Sausage Fatties are thick ground pork sausage rolls (maybe 10cm across) that are seasoned inside and outside with BBQ rub, then slowly grilled and at the end coated with a BBQ sauce. The rolls are cut into thick slices, and can be served with a salad. This could be a main course dish of your tailgate party. For this dish, I suggest going with an Alsatian-style Riesling or a Pinot Noir from BC or New Zealand. Sausages on the grill are always nice. We enjoyed beer bathed brats. In this instance Heineken beer was used along with various herbs and spices to make a hot bath into which the sausages were placed in the BBQ. The sausages are taken out later and grilled before serving with fried onions on a bun, or by itself with some mustard. We had traditional bratwursts and as well one made with wild boar, which had a darker colour and more meatier taste. This was very nice with the herb flavour infused into the sausages. Pinot Noir, Gamay, Riesling or Sauvignon Blanc all would work here. Finishing off our evening cooking class was the atomic buffalo turds. This is made from jalapeno chiles cut lengthwise to make a “boat”. Seeds were removed to make it less spicy. A filling of cream and shredded cheese, crumbled cooked sausage filled each boat, then each was wrapped in a slice of bacon and then grilled. It was quite spicy, smoky and creamy. I think a Riesling here would be needed to cool the heat, or maybe a very fruity pinot gris. If you are adventurous, try a pinotage! Well Seasoned has a wide range of BBQ supplies; spices, rubs, and marinades which I have had hard time finding elsewhere. Langley is a bit out of the way if you live in Vancouver, but it is not that far to go once you get onto the highway, plus you can then go and visit some of our Fraser Valley wineries! 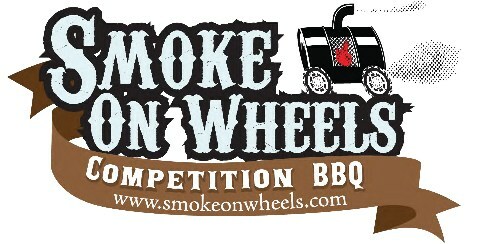 Here is the link to Smoke On Wheels if you would like to read more about Andy and what he has to offer. Also, a link to Well Seasoned cooking classes. Enjoy with your Canucks or BC Lions tailgate party! Wine for Father’s Day, June 19, 2011? Father’s Day is coming up fast. Do you know which wine you will be pouring for your dad? For some of you, you already know what your dad likes, e.g. He only likes Australian Shiraz, so picking a bottle should not be too difficult. For others, your dad does not have a favorite wine. So how would you choose a wine? One of the easiest ways to pick a wine is to pair the wine with the food you will be having with your father. If you are going to have a BBQ beef or lamb, you may want to select a full bodied red or an oaked chardonnay. Grilled salmon or chicken can pair with a light bodied red or a white wine. A pasta with cream sauce would pair nicely with a red or white wine that has higher acidity to cut through the creaminess. A pasta with tomato-based sauce classically pairs with a Sangiovese-based wine from Tuscany, Italy. 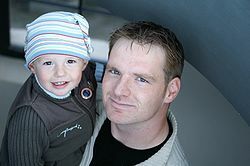 If you father is a vegetarian, consider the type of sauce that the food is cooked with. Is it creamy, made from tomato? This flavour will help you choose the appropriate wine. You could use one of the pasta selections that I described. D’Angelo Sette Coppa 2005, BC. This is a blend of Cabernet Sauvignon, Cabernet Franc, Merlot, Petite Verdot, and Malbec. It is primarily Cabernet Franc and Merlot, with lesser amounts of the other grape varieties. Light garnet in the glass. Tarry, cassis and black cherry aromas. Cassis, cherry, chocolate and vanilla on the palate with some spiciness. Medium length with firm tannins kicking in on the finish. Try with BBQ beef or lamb. Casa Montes Bodegas & Vinedos, Alzamora Gran Reserva Malbec 2006, Argentina. This wine is opaque purple in the glass. Dusty with black petter aromas. Full body with ripe black fruit and lots of spice. A BBQ wine for beef or lamb. Township 7 Chardonnay 2008, BC is 100% barrel fermented and aged in French and American oak, giving it more body and some creaminess. Vanilla and apple aromas. With flavours of citrus oak and apples. Nice round mouthfeel with a slight bit of spiciness and a coconut finish. Try this with any BBQ meats or fish. Another Chardonnay would be the Hope Family Wines, Liberty School Chardonnay 2007. This Chardonnay, from the Paso Robles area of California, has 5% Viognier in the mix. It is medium lemon in the glass. Pineapple, vanilla, and creamy nose. Medium body, with peach, apricot and honey flavours. Chateau Ste. Michelle Cold Creek Chardonnay 2008 , Washington was very elegant. This wine was medium golden in the glass. Vanilla, oak, lemon and apple aromas. It was medium body with toasty, lemon and light spice on the palate. Light acidity to complement the roundness of the wine. Spice and lemon on the finish. Would go nicely with some salmon. Casas del Bosque Pinot Noir Gran Reserva 2008, Chile. This wine spent 9 months in french oak. They like to use 2-3 year French oak barrels as much as possible for all their barrel aged wines so the oak is there, but not in your face. This one had a wide range of aromas. Strawberry, oak, red cherry, dill and mushroom at first, but then some vanilla on the nose. The wine was quite fruity. Lots of red cherry, but also some dill and vanilla. Quite smooth, medium length, and a dry finish. Try with BBQ salmon or chicken. Renzo Masi Chianti Rufina “Basciano” 2007 DOCG, Italy. This wine is primarily Sangiovese but has 5% Colorino. Red delicious apple and cherry aromas and flavours. Also vanilla and cherry on the palate. Medium tannins with a dry finish. Try with a tomato-based pasta sauce. Marchese Antinori Chianti Classico Riserva 2005, Italy. Chianti for those that do not know is made with the Sangiovese grape. This wine was dark garnet in colour. Oak, cassis, and cherry nose. Full bodied with smooth mouthfeel. Medium acidity and tannins with ripe black cherry flavour. Try with a tomato-based pasta sauce. 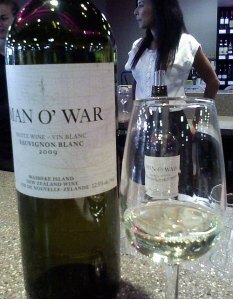 Man O’War Vineyards Waiheke Island Sauvignon Blanc 2009, New Zealand. This wine was very light lemon in colour. Herbal and jalapeno pepper aromas. High acidity with more jalapeno and herbal flavours. Light body, but long length. Very nice. Try with a cream-based pasta sauce. La Frenz Andrew Vineyard Riesling 2009, BC, is light lemon in colour. Flowery and apple aromas. Good acidity with a bit of residual sugar. Red apple and citrus flavours. Elegant. Try with a cream-based pasta sauce. 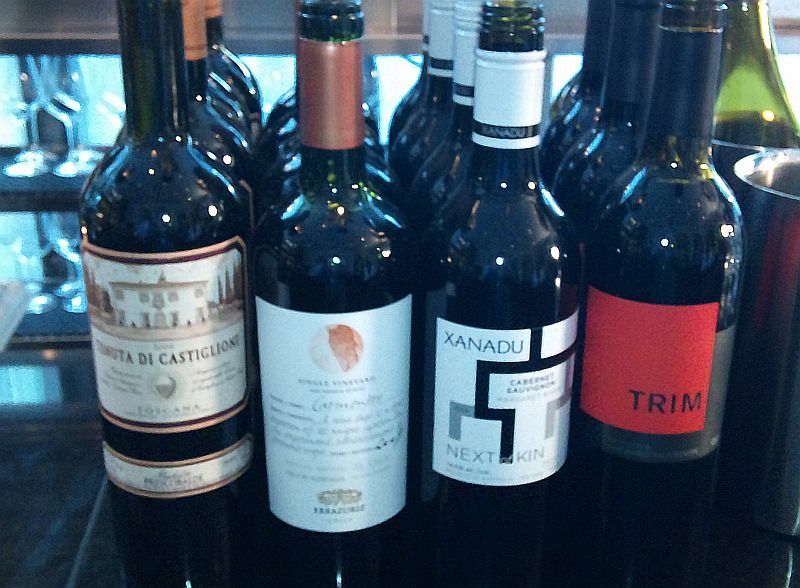 Note if you can’t find these particular wines, find a similar wine, such as a replacement for the Alzamora Gran Reserva Malbec could be the Bodegas Salentein Primum Malbec. If you feel unsure, ask someone who works in your wine shop. They should be knowledgeable about the wines they carry. Enjoy Fathers Day with your Dad.